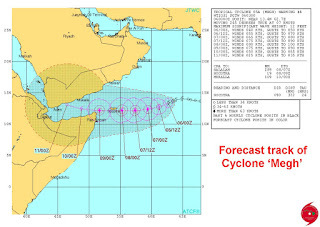 Cyclones in the Arabian Sea are comparatively less frequent than those in the Bay of Bengal, and it is rare to see two cyclones in that area, riding bumper to bumper and heading towards the same region (ie the Yemen coast) all within a week! 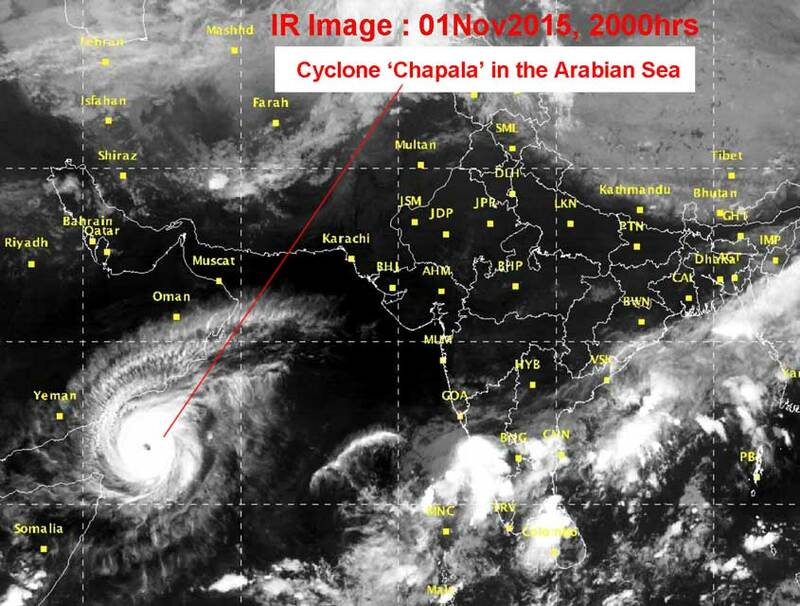 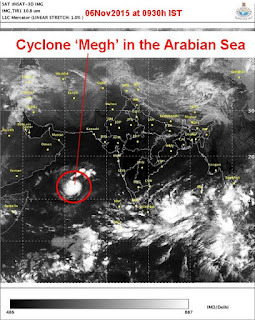 Cyclone 'Megh' has now formed in the Arabian Sea, hard on the heels of 'Chapala' which dumped almost a decades' worth of rainfall in the deserts of war-torn Yemen a few days ago. 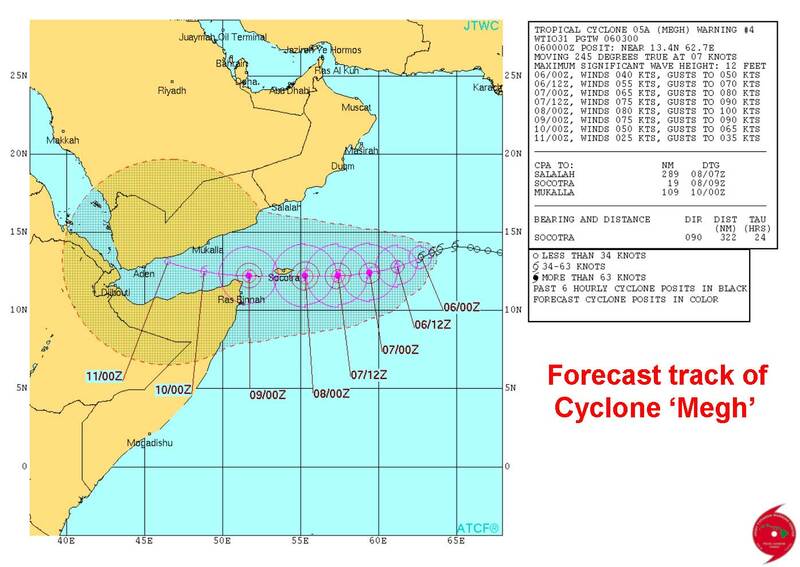 The forecast track from JTWC show 'Megh' heading to the same region.